Recruiters and hiring managers only have so much time to review applications, and after a certain number received, they may not even be able to give every resume a quick glance. Employers and recruiters accustomed to dealing with high volumes of applications may set up their ATS or screening tool to shortlist candidates for them to save time, but those tools may or may be inaccurate, ineffective, or contribute to biased decision-making. Research shows that while job boards continue to be a reliable and important source of hire, the quality vs quantity dilemma is still an area in which they can improve upon. 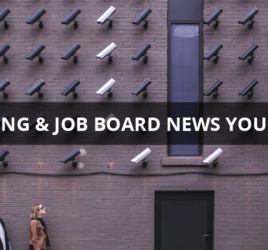 Niche job boards that focus on specific verticals in the job market may have an easier time of attracting quality candidates. But if your job board’s strategy thus far has been focused on getting a high number of applications per job without much attention paid to the quality and relevance of the candidates, here are a few things to think about doing. Yes, I’m on record as saying the passive vs active candidates debate among recruiters is not worth having (and I stand by it), but it is generally easier to attract job seekers who are actively looking when compared to passive candidates. Because of this, it’s important to have a strategy in place that incentivizes passive candidates to register and engage with your job board. 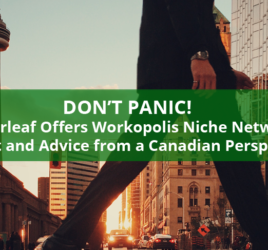 Your strategy might include publishing the hard-to-find jobs no one else does, producing helpful resources or research, and/or blogging interesting and newsworthy content that is relevant to your job board’s niche and industry. If your marketing claims you’re a hub for the best talent in your industry or niche, it really helps to be able to back it up with proof and examples of how relevant and important it is in that industry/niche. Gathering and publishing reviews and testimonials on your site or directories can help, as can getting other people and companies to talk about your job board. Obviously, some of this is out of your control, such as having prominent people in your job board’s industry actively use, link to, mention, or otherwise refer to your job board in public. So-called “influencer marketing”, social media marketing with the use of hashtags and groups, and reaching out to industry news outlets and blogs can help your job board gain visibility in online communities relevant to your niche. While you should always aim to engage or re-engage old users – encouraging them to keep their resumes, profiles, and job alerts up to date and relevant to their current experience level and career goals – sometimes you just have to say goodbye. You don’t want thousands of candidates or their resumes which haven’t been updated since 2009 cluttering up the search results employers get when they go looking for candidates on your site. Having hundreds of thousands of resumes on file isn’t something to brag about if their contact information is out of date along with their education and work history. Make a plan that lets you purge your job board of digital clutter that no longer serves your customers or your business and focuses on the quality candidates you have today. The quality vs quantity debate isn’t black and white. The truth is that you need both. Without a critical mass of traffic, candidates, and applications, it’s hard to sell to employers and recruiters. But if they don’t receive a steady stream of highly qualified and relevant applicants, it’s hard to retain those employers and recruiters as customers. I think old data which is not filtered out acts as a major barricade preventing the effectiveness of a job board. I am happy to see that point mentioned clearly in your blog. I think the preciseness of the application or the job ad is another major factor that results in more leads. Thank you for sharing this blog.